While using BlueStacks sometimes users can get an error. 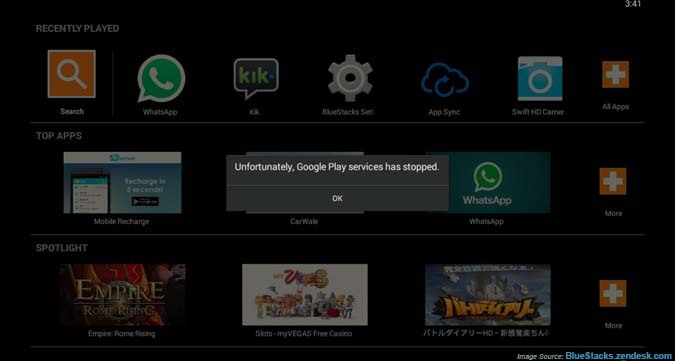 Google Play services has stopped working error comes due to any updates in Google services. Because they are updating regularly, so sometimes there is a compatibility issue. To fix this problem you have to download the latest version of BlueStacks. Sometimes the black screen also comes while you launch some specific app like a clash of clans, Hayday, Pokemon Go etc. If you already have the latest version installed, still getting the same issue. Then follow the steps below to fix this error. After you have launched the App Player.